So sweet! I feel like having a sweet picture taking right now! You really look good together! congrats on your 1st photoshoot.. for sure masusundan pa yan ng madami! Congrats on your first prenup photoshoot! i wish you more shoots to come. photography is fun! Just some more polishing and you can make photo shooting a means of living..
ayy, so exiciting, have never shoot people too unless it is candid or just non-formal with cousins or friends, but am sure it is fun to photoshoot prenup, they look having fun. wow, these are amazing photos teLiz...ang galing! Congrats! that would be fun. They are so sweet, you just done a good job! Thank you guys for all the nice comments here. I know I'm not that good photographer and I have a lot to learn but I believe in due time I will improve my craft. I need to familiarize myself with my camera settings and adjustments and need to learn photoshop too. 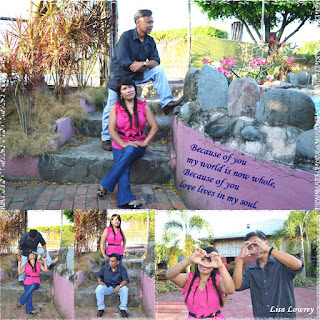 This is only a hobby and I didn't get paid doing this photoshoot because the couple are very good friends of mine.